Antalya, Turkey- May,17,2018. 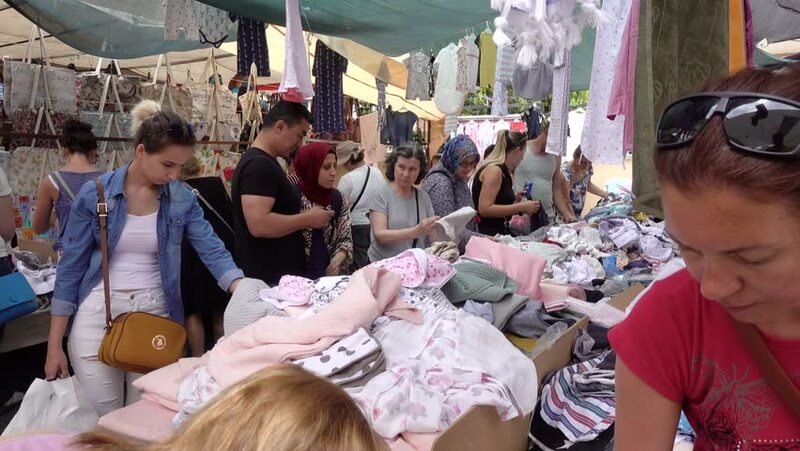 Turkish flea market. Men and women choose clothes, try on T-shirts, shirts, trousers and jeans. Business concept of trade and fashion. sd00:10Sights in Peru. This was shot at the Sunday Pisac outdoor market. hd00:17BURIRAM, THAILAND - MAY 9 : The crowd, many of whom do not know the name of joint activities. The ceremony was ordained a priest in the religion of Thailand. On May 9, 2016 in Buriram, Thailand.